Hang out for a round or two at the bar on the ground floor. For opening hours and the menu please ask the staff in our restaurant. Cycling is by far the best way to get around in Florence. You can rent yourself a cool Van Moof design bike at the hotel. On the day of your departure please check-out before 12:00 (noon). 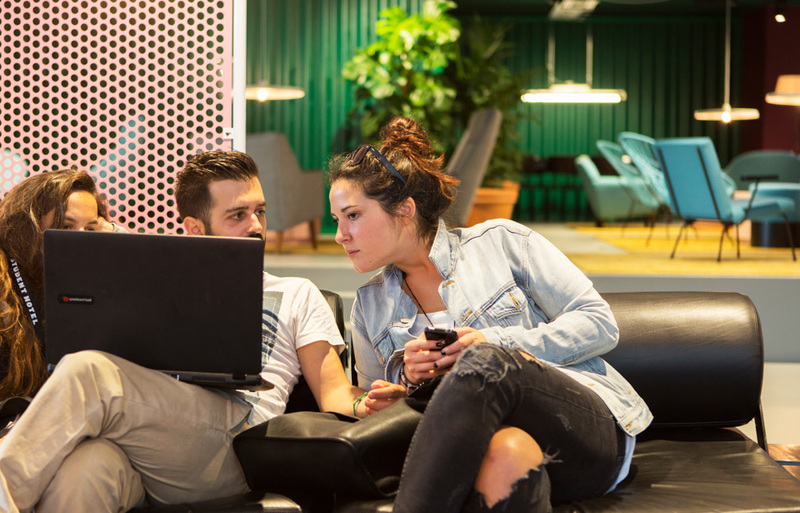 At The Student Hotel you do not need to officially check-out with one of our staff. 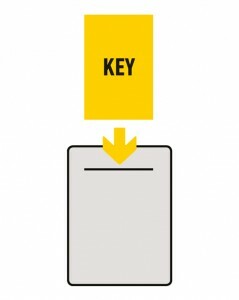 We keep it simple, just drop your key in the “key drop box” at the reception desk and that’s it. We are happy to store your luggage (see “Luggage” for more info) so you can wander around the city for another couple of hours before you leave. We accept Amex, MasterCard, Visa Card, VPay, and Maestro. As a responsible hotel, we care about the environment. To help create a cleaner world, we try to reduce the amount of water, detergent and energy we use. We cut down on the number of towels and linen that will be laundered by cleaning your room every second night and refreshing your linen every fourth night of your stay. If you would like to replace your towels on the designated cleaning day, just leave your used towels on the bathroom floor or request fresh towels at our reception. Or visit reception to request a change any time you wish. If you put the “Do-not-disturb-my-beauty-nap” sign on the outside handle of your room door, housekeeping will comply. You will enjoy the extra rest, but your room will have to forgo beautification. For safety purposes, we will have to check your room if the “Do-not-disturb-my-beauty-nap” sign is on your door for more than 24 hours. Possession (or being under the influence) of illegal substances, drugs, and weapons on the hotel premises will lead to immediate eviction. In such cases, the payment obligation for the agreed term of your stay will still apply. The Student Hotel will notify the responsible authorities. We do this because we love you! Please see “Bar”, “Lobby Bar” or “Restaurant” for more info. The magic number is… 220 Volts. Travel Adaptors are available at the reception and/or the vending machines. Use the emergency exit doors in case of emergency only. All emergency exit doors are monitored by CCTV and alarm systems. For safety reasons, the front door of the hotel will not open automatically after 23:00. You will need to use your electronic room key to enter. Please do not grant other people access with your key. Should you require First Aid assistance, please contact reception. See “Lounge Area” for more info. Our fitness area is located on the ground floor. Please use a towel and wear a shirt (yes, you too, guy with the really hot abs). Our fitness area is monitored by CCTV. Please keep the it clean and tidy. Use of our fitness area is at your own responsibility and risk. For safety reasons, children under the age of 16 are not allowed to access the fitness area. Personal use hair dryers are available at the reception desk. Once you have achieved your ideal hair texture, please return the hair dryer to reception. Please see “Laundry” for information. Wireless internet is available in the entire hotel and free of charge. To use our WiFi please select the “TSHGuest” network. Your key card provides access to your room and public areas. Please do not forget to take your key card with you when you leave your room. If you lose your key, please notify our hotel reception staff immediately so we can block your lost key. Student rooms have access to a private pantry. There is a Communal Kitchen available for our student guests, cooking utensils are provided. Accessible 24h. A guest laundry facility is located in the basement of the main building. You can pay with coins or use the TSH app for online payment and even use it to check machine availability. The detergents are automatically dispensed by the laundry system. Our laundry is equipped with irons and iron boards which you can use free of charge. Please use our irons in the laundry room and do not take them up to your room. Please contact the reception in case of any lost or found items. We are happy to provide a pool table, ping pong, fitness area and an extensive library, study area, and a crazy ” hang out” zone for your enjoyment. Keep in mind that the study area and library are silent areas. You can store your luggage free of charge. Just ask at our reception. Please note that The Student Hotel cannot be made responsible for loss or damage to your belongings. We are happy to collect and post your letters and postcards if they are stamped. Looking for a post office? Please check “LOCAL AMENITIES”. Pets are not allowed within the hotel. This hurts us more than it hurts you. Our reception is open 24 hours per day. Our staff is available on-site 24 hours per day. Our premises are monitored by CCTV. Please contact our staff immediately if you notice any dangerous or suspicious situations. Smoking is strictly prohibited within the hotel; please only use the designated outdoor areas for smoking. Please also check the chapter “HOTEL SAFETY”. Vending machines are located in the game area and the swimming pool area for emergency drinks, snacks, coffee, toiletries and other cool stuff that might come in handy. Professional Medical Services. Address: Via XVII Aprile 19/R. Tel. 055 2679666. Offers general medical services, routine health care, injuries, illnesses, vaccinations, physical examinations, and specialist care. How to get there: 5-minute walk from the hotel. Professional Medical Services. Address: Via XVII Aprile 19/R. Tel. 055 2679666. Offers general medical services, routine health care, injuries, illnesses, vaccinations, physical examinations, and specialist care. Hospital Santa Maria Nuova, Address: Piazza Santa Maria Nuova, 1, Tel: 055 69381, How to get there: 20-minute walk /5 minutes by taxi. The following information is provided for your safety in the event of a fire. Please take a moment to get familiar with the locations of the fire extinguishers and the fire escape plans upon arrival at the hotel. Floor plans are located in the corridors near every emergency exit and on each room door. For your safety, the hotel is equipped with fire/smoke detectors, fire extinguishers and fire hoses. Their locations are indicated on the evacuation floor plans in your room and in the corridors. Our staff is trained to handle emergency situations. In case of an emergency situation please always follow their instructions. Our staff is available on-site 24 hours per day and our premises are monitored by CCTV. Please contact our staff immediately if you notice any dangerous or suspicious situations. An alarm will go off in case of an emergency. When the alarm sounds we urge you to leave the hotel immediately via one of the emergency exits. The emergency exits are clearly marked by the green ‘EXIT’ signs and can be opened easily with a push bar. Please note that the lifts are not in use during an emergency situation – you will have to use the emergency stairs. The evacuation plan and a summary of our house rules can be found on the inside of your room door. 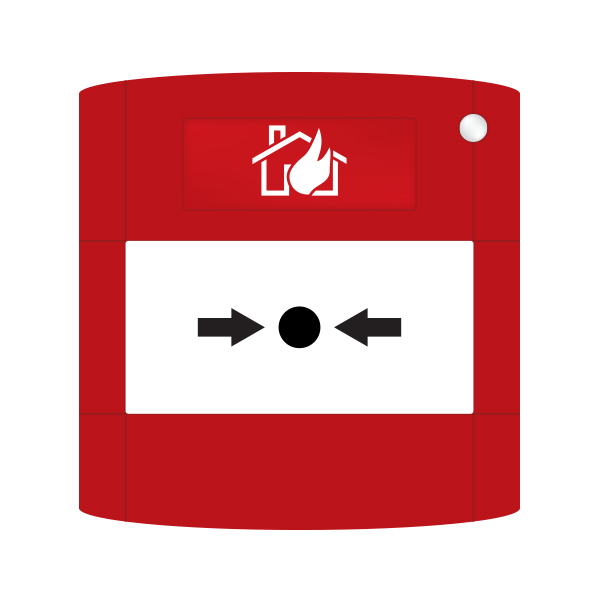 The smoke detectors/fire alarm systems are in place for the safety of everybody. Please note that the alarm will be triggered if the smoke detectors are disturbed. Anybody who manipulates the smoke detectors/ fire alarm systems in any way is violating the law and will be instructed to leave the hotel immediately. According to our Terms & Conditions no money will be refunded when our guests are instructed to leave because of breaking the House Rules. Additional costs will be charged (a.o. damage, fine by the fire department) and you might be prosecuted by law. Please understand that we need to be very strict on this. Only use Emergency exit doors in case of emergency. All emergency exit doors are monitored by CCTV and alarm systems. Smoking is strictly prohibited within in the hotel; please only use the designated outdoor areas for smoking. According to our Terms & Conditions no money will be refunded when our guests are instructed to leave because of breaking the House Rules. If you smoke inside The Student Hotel you will be charged €150 for cleaning costs. Also, any additional costs will be charged (a.o. damage, fine by the fire department) and you might be prosecuted by law. That’s the deal and we have to stick with it. Any violence to our guests or staff will lead to immediate eviction of the hotel and the police will be informed. According to our Terms & Conditions no money will be refunded when our guests are instructed to leave because of breaking the House Rules. When you enter the room please put your key in the energy saver and leave it there. Ta da! Now you have electricity. When you leave the room, pull out the key and take it with you. Electric plugs (for charging batteries, etc.) will keep working. This system provides fresh air, heating and cooling. The room temperature can be adjusted with the thermostat in your room. The display shows the actual temperature. 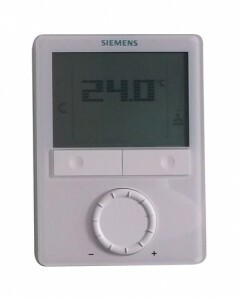 When you push the + or – button the display will show the desired temperature. You can change the level of airflow by using the fan buttons. With the on/off button you can switch off the installation. Please note that the heating/cooling system only functions when the windows in your room are closed and when your key is in the energy saver. To contact reception, push the upper button of the intercom for 5 seconds without picking up the handset. Reception will call you back. Pick up the handset to speak. When you’re done, please put back the handset. The other button has no function. Visitors outside at the main entrance can call your room directly. Pick up the handset to talk to your visitor. For safety purposes, you’ll have to walk down to open the front door yourself to let in visitors. A prime location in the historic heart of Florence has its perks! Our illustrious neighbors include David (he of statue fame) at Galleria dell’Accademia, scenic parks and stunning fountains, and the handy SMN train station right down the road. Although El Duomo is 25 minutes away, we’d totally understand if you’d prefer to enjoy the view of it from our rooftop pool. Buses and trains all get to and leave from Santa Maria Novella station, reachable in 13 minutes walking. But if you arrive to the airport you can take the train to SMN station or a taxi could also be handy! Cycling is by far the best way to get around in Florence. 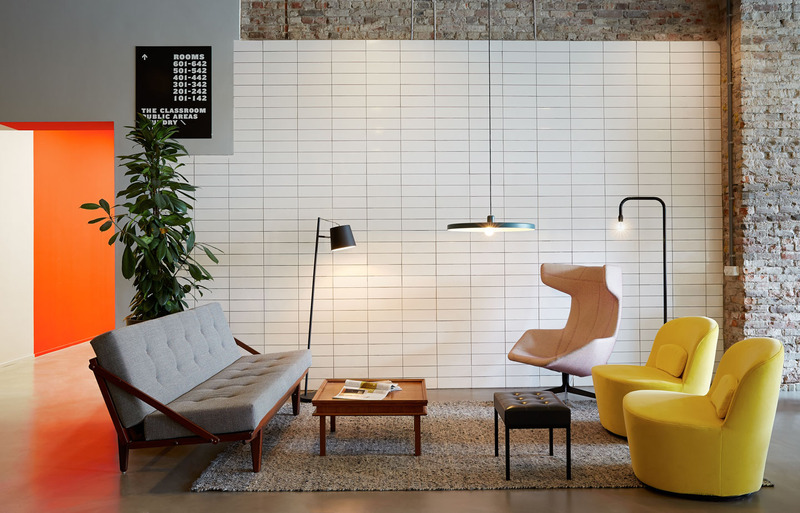 You can rent yourself an ultra-hip designer bike at our reception for €9,- per day.